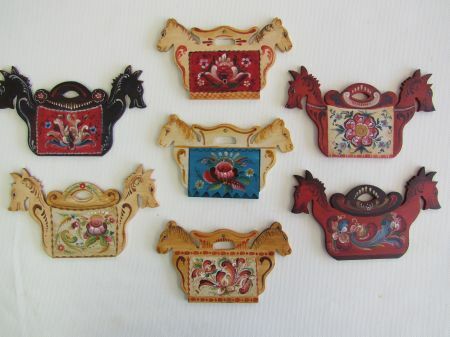 These are some fun ornaments to paint, with a horse or dragon head, they will be a hit and appreciated. There are three styles of designs, Telemark, Hallingdal and Os. The designs can be mixed and matched. The size is 3 1/2 and 4 x 5 inches. The packet includes the directions, photographs and line drawing.